Hardware.Info offers an extensive price comparison engine featuring over 300,000 products in over 100 product categories. Uniquely, price comparison engine offers shops the opportunity to participate free of charge, regardless of the number of products linked. 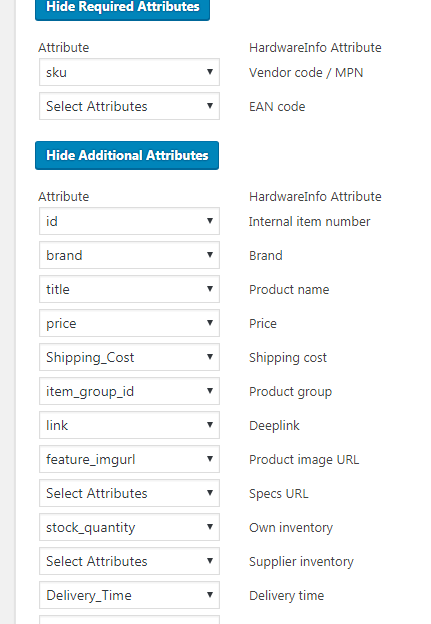 Install Shopping Cart Product Feed Plugin. Complete the Feed creation process with the help of above provided documentation. If you think you have meet all the required attributes you can submit the created feed to the merchant for verification process and wait for the report.